This is hardly the first time we have signaled our displeasure with foreign interference in our domestic affairs. Our response to the negative reactions of Iran, on one hand, and the Western media, on the other, to the rulings and administration of our country’s judicial establishment against terrorists and their associates has ample precedent. This instance is but the latest in our efforts to compel Iran to cease seeking to destabilize GCC countries’ governments and economies. In so doing, our leaders only echoed the views of other governments, including America’s, in opposing intrusions and unwarranted criticism by non-citizens. What drives tensions between our countries is multifaceted. Best known is the sectarian divide between our majority Sunni Muslims and Iran’s Shi‘a majority. In addition, our respective majority citizenries derive from different geographic origins, ethnic stocks, and linguistic backgrounds. Our people, who hail from the Arabian Peninsula, speak Arabic as a mother tongue. In contrast, many Iranians live in an extension of the Central Asian steppe and are Farsi-speaking. Iran also has numerous minorities, including Arabs in the southwest; Azerbaijanis, Kurds, and Turkmen in the northwest; Baloch mainly in the southeast; and Christians and Jews in the major urban centers. None of these different characteristics, however, is as much a determinant of the tension between us as our geopolitical rivalry in the immediate region of the Gulf, including five of the GCC states plus Iraq, Yemen here, Syria there, and now and again Lebanon. It is what mainly underlies what the media refers to as our jockeying for the position of paramount power in the region and beyond. different international responsibilities and, second, our respective resources for fulfilling those responsibilities. In this regard, where there is but one Iran, there are 22 Arab countries, with Saudi Arabia as their leader. Unlike Iran, we have never been sanctioned by the United States or the United Nations. In addition, the ten-country coalition that the kingdom cobbled together a year ago to restore Yemen’s legitimate president, which the United States is aiding indirectly, is holding. Iran, in contrast, would not be capable of forging a coalition half that size. It also could not hope to organize more than a fraction of the 34 mostly Sunni nations that the kingdom leads in fighting extremism. 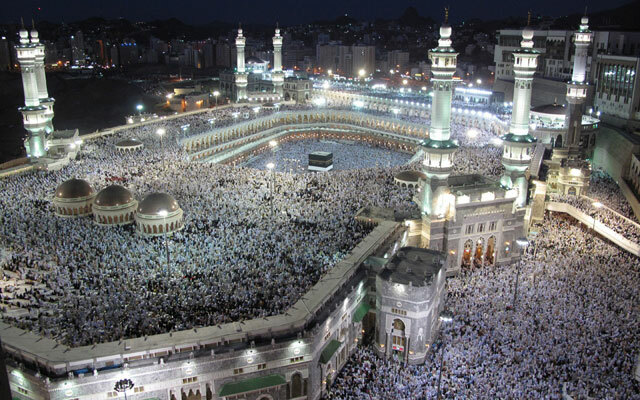 Further, Saudi Arabia, as Custodian of Mecca and Medina, is the epicenter of prayer, pilgrimage, and faith of between a fifth and a quarter of humanity. And of the 57 country-members of the Jeddah-based Organization of the Islamic Conference, the highest political organization of the world’s 1.6 billion Muslims, more than 50 identify with the same orthodox Sunni sect of Islam as Saudi Arabia. Fewer than five count themselves as being of the Shi‘a persuasion while acknowledging Iran as the intellectual center of their faith and the sect’s largest and most powerful leader. Worshipers at the Grand Mosque during night prayers in Mecca, Saudi Arabia. Photo: Al Jazeera English. In terms of oil, our country’s reserves are 70 percent greater than those of Iran, and we are the leader of the Organization of Petroleum Exporting Countries (OPEC). As such, Riyadh, not Tehran, has long been at the center of the body that determines most of the world’s oil production and hence its price. 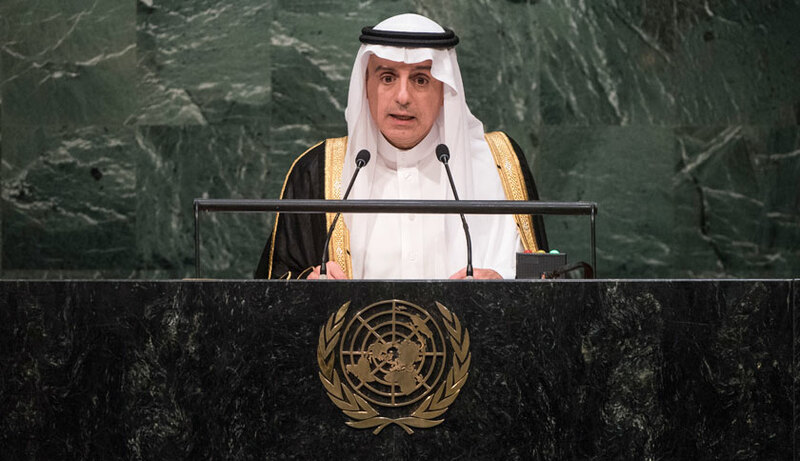 Riyadh also hosts the secretariat of the six-country Gulf Cooperation Council (GCC). 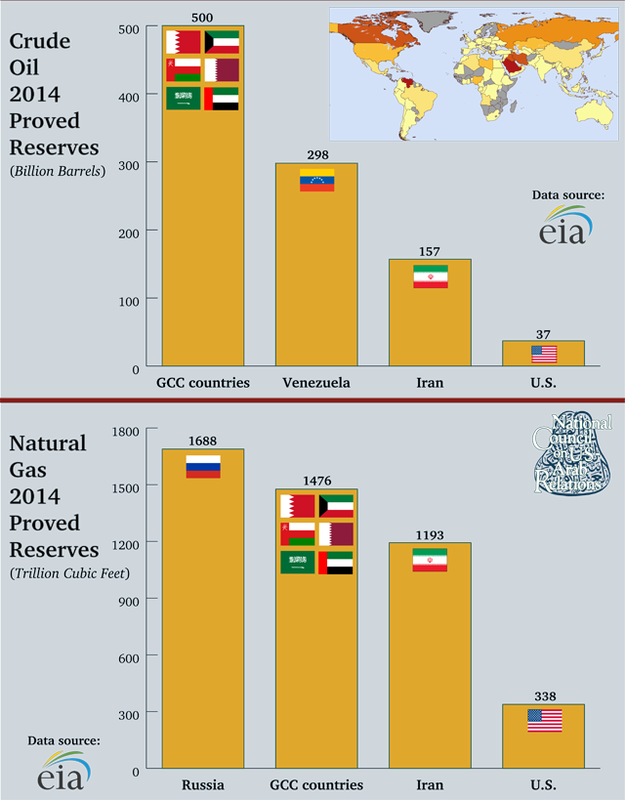 Collectively, the countries of the GCC command more than two times the Islamic Republic’s oil reserves and almost 25 percent more natural gas. In addition, their trillions in financial reserves dwarf those of Iran. All six have varying defense cooperation arrangements with the United States, from which they have purchased more than $60 billion in advanced armaments in the last decade, while the amount that Iran has purchased, as a result of its being sanctioned and isolated internationally, is zero. Beyond being far less globally vital than Saudi Arabia and years away from having a single trillion dollars, Iran is as yet not the seat of any international grouping. 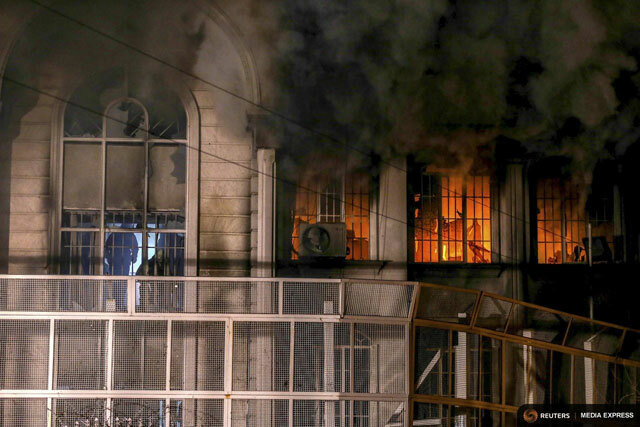 Moreover, of immense and ongoing concern not just to us but to the international community as a whole is that Tehran is viewed by most of the world as determined to undermine our government and the governments of most of the other GCC countries. The massiveness of differences between these examples of responsibilities, resources, and leadership, on one hand, and regional behavior, acceptability, and respectability, on the other, are stubborn realities regarding which the United States, the other four permanent members of the UN Security Council, and indeed virtually every country’s government are indisputably aware. A useful frame of reference for understanding how Iran and our country have competed geopolitically dates from the second administration of President Richard Nixon in the early 1970s. An example was the American unofficial effort to forge a degree of regional cooperation between Iran and the Arabian Peninsula’s eastern littoral from Iraq to Oman. The objective: our, Iran’s, America’s, and America’s allies’ national security, defense, economic development, and related interests. Doing so would test Nixon’s (and later President Ford’s) hope that all eight Gulf countries – the seven Arab Gulf countries plus Iran – would come together, possibly under Tehran’s de facto leadership, with Riyadh as a co-equal but in reality junior partner. The desired outcome was a regional defense structure comprised of countries vital to world economic development. Of added importance was that all eight countries’ interests coincided with those of the United States and its Western allies in defending themselves against what was then still a powerful Soviet Union. Iran was eager to be the leader of such a structure. If the U.S. government was truly willing to lend its support to this arrangement, all of us were naturally interested in exploring the possibility. However, when not just us Saudi Arabians but all the other Gulf Arab countries examined the idea in depth, we concluded practically unanimously that while the concept was good in principle, most of us would have grave reservations if Iran were to be involved. The reason came down to trust. The specifics regarding the distrust were twofold, the first of which was suspicion rooted in the Shi‘i concept of taqiyyah, which is roughly equivalent to dissimulation. The concept, which permits adherents of the faith to deny their theological orientation in situations in which it could be injurious or disadvantageous to tell the truth, and which many Shi‘a understandably object to being made an issue by non-Shi‘a, was grounds for mistrust of most Iranians by many Sunni Muslims. The second element of distrust on the part of not just Saudi Arabia but numerous other Arab and Sunni Muslim countries was regarding Iran and Israel. All of us were aware that, since almost the beginning of the Jewish state’s inception, Iran had been and remained supportive of the Zionist project. Iran and Israel were partners in numerous endeavors, with cooperation in internal security, intelligence, and foreign policy matters. Iran was also not only the source of 90 percent of Israel’s oil supplies; it had refused to join its Arab fellow oil producers in support of the Palestinians in the 1956, 1967, and 1973 Arab oil embargoes of countries deemed overly supportive of Israel. Regrettably, much of what was then is also that which is now – and continuing. Our deep-seated trust deficit vis-à-vis Iran’s intentions deepened and hardened following the Iranian revolution of 1979, when the country’s clerical establishment, led by Ayatollah Ruhollah Khomenei, not only became the most powerful element in the government, but the country adopted a constitution that declared the intent to export the revolution. The Ayatollah also introduced the concept of the vilayat-i faqih – the rule of the supreme jurisprudent – which many viewed as heretical to Sunnis and Shi’a alike in Iran and elsewhere. Since this time, the list of instances in which the Islamic Republic’s behavior has rattled the nerves of government leaders from Iraq to Oman is long and diverse. The following partial list is illustrative. It includes Iran’s: provocation of Iraq, which led to the 1980-1988 Iran-Iraq War; attacking the oil tankers of 13 different countries going to and from Kuwait during that conflict; efforts to overthrow the government of Bahrain on December 16, 1981; and role in the bombings of the U.S. Embassy as well as the U.S. Marine barracks in Lebanon, which killed hundreds of Americans. 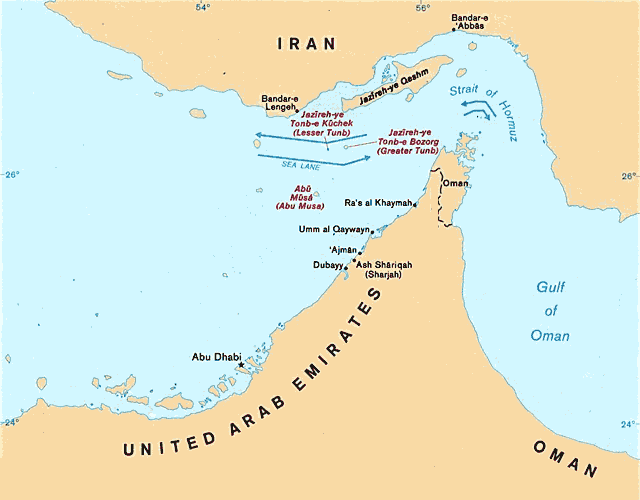 Iran seized Abu Musa and the Greater and Lesser Tunbs (labelled in red) on November 30, 1971, and has refused to engage the UAE in a diplomatic resolution over their sovereignty. The list also includes Iran’s: refusal to return the three UAE islands that the country occupied on November 30, 1971; disruption of the Islamic pilgrimage twice in the late 1980s; connivance in the Khobar Towers attack in Saudi Arabia in 1996 that killed numerous Americans and other nationals; having organized and supported terrorist sleeper cells that were discovered in Bahrain and Kuwait in the last few years; and continued support for Lebanon’s Hezbollah. The list continues with Iran’s: instigation of violent extremists in Bahrain and our kingdom’s Eastern Province; support for numerous Shi‘i militias in Iraq that oppose greater representation of the country’s minority Sunnis in Iraq’s military or other arms of the government; positioning openly in Baghdad the head of the Iranian Revolutionary Guards to ensure that Tehran’s objectives are advanced; assisting Syria’s Alawite Shi‘i government in its ethnic cleansing of Syrian Sunni villages by displacing their inhabitants and replacing them with Alawites and Shi‘a from Afghanistan and elsewhere; providing asylum to numerous leaders of al-Qaeda; and, most recently, complicity in the efforts of several of the 47 Saudi Arabians executed on January 2, 2016 for their involvement in acts of terrorism aimed at destabilizing our economy and overthrowing our government. Another could be, “What if these actions, if traced to the leaders of another country’s government, were to have the effect of reducing foreign direct investment in the United States, while appealing to the disaffected among America’s minorities and youth to engage in violence aimed at undermining America’s national security, economic, and related interests? Might Washington officialdom and the citizens of the United States be inclined to maintain a business-as-usual relationship with the government of the country that posed such challenges?” We could be wrong, but we don’t think the U.S. government or Americans would take kindly to this behavior by such a country. From our perspective, only when Iranian-inspired efforts to create instability in our country and Tehran’s support for violent extremist groups elsewhere comes to an end will there be the desired improvement in our countries’ relationship. Only then will there be the likelihood of the mutually beneficial ties and reciprocally rewarding results that would stem from good neighborliness between Iran, on one hand, and us and our fellow GCC member states, on the other, if not also between Iran and other Arab countries. Read more from Dr. John Duke Anthony on the National Council’s website.